Fall Warblers with Ryan Treves ~ Don't miss this opportunity to go birding with Ryan Treves who started Wisconsin Young Birders before he heads off to college! Ryan will focus on Fall Warblers. Warblers can be a bit harder to identify in Fall plumage but on the other hand, they are actually more abundant in Fall than in Spring as new fledglings join the migration. Some Madison FUN shared binoculars and scopes will be available. Bring your own if you have them, and zoom cameras are great for making IDs. Follow rolling hiking paths through the Turville Point woodlands and prairie with beautiful vistas of Lake Monona and Monona Bay. 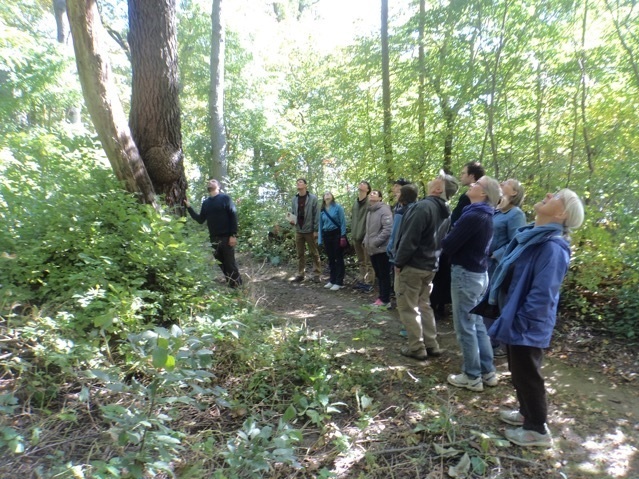 Walks at Turville Point held on the 2nd Sunday every month are co-sponsored by Madison Bird City FUN partners, Madison Parks, Friends of Olin Turville and Madison Audubon Society. Meet at the Turville parking lot from John Nolen Drive at the railroad tracks.